Elvenar’s closed beta will start with the online browser version; mobile versions are planned to follow at a later date. 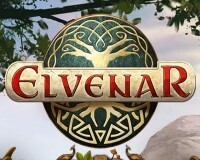 The German developer is treading uncommon ground with Elvenar: Players have to choose between Elves or Humans as a starting race in order to create a flourishing city. The game’s focus lies on building and upgrading a city, but players also trade or explore the world map. The choice between Elves and Humans influences the way the players’ cities and inhabitants look and which technologies and units are at their disposal. The Elves live and breathe magic and exist in close harmony with nature, whereas Humans are ambitious and determined engineers.